news Cybersecurity firm CrowdStrike has announced it is expanding its operations into the Asia Pacific (APAC) region with the establishment of a new regional base in Australia. The move has been driven by “robust customer and partner growth” globally, the firm said, and is aimed to maintain CrowdStrike’s position in the region, as well as to help grow the business. Notably, the decision to expand its presence into APAC follows a US$100m (A$133.4m) Series C funding round, led by Google Capital in 2015. “CrowdStrike is seeing significant growth in APAC, and Australia in particular is an extremely important market for us,” said George Kurtz, the company’s co-founder and CEO. “In addition to our strong global customer portfolio, we have also witnessed rapidly growing demand for our industry-leading next-generation endpoint protection platform,” he said. Kurtz further said that CrowdStrike is the “only company” that has unified next-generation antivirus and endpoint detection and response (EDR) through a fully cloud-based, API-driven platform. This, he said, “allows customers unrivalled capabilities to stop existing and emerging threats”. With notable Australian clients including Telstra, setting up a physical presence in the region will allow the firm to better respond to the growing demand for its CrowdStrike Falcon endpoint protection platform, it said. The company has recently introduced new features to the Falcon platform, including new APIs, CrowdStrike Falcon Orchestrator and next-generation antivirus with new ransomware protection capabilities. “The CrowdStrike technology is providing a unique value to Telstra in its ability to detect and stop zero day exploits, malware attacks, along with hacker activity and ransomware, all of which go undetected by legacy security technologies,” said Mike Burgess, Chief Information Security Officer at Telstra. “Telstra relies on CrowdStrike’s combination of technology, people and intelligence to protect against the most sophisticated threats and help keep our customers’ data safe and networks secure,” Burgess added. 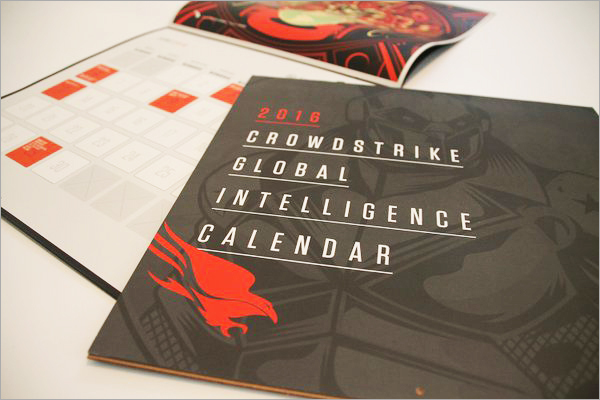 CrowdStrike has also announced that ex-Intel exec Mike Sentonas has been appointed as Vice President of Technology Strategy to spearhead its APAC efforts and oversee the company’s growing customer and partner network. Sentonas – who was most recently Chief Technology and Strategy Officer, Asia Pacific at Intel Security – will report in his new role to CrowdStrike co-founder and CTO Dmitri Alperovitch. Simon Walker – previously Director of Marketing, APAC, at Forcepoint – has also been appointed CrowdStrike’s Senior Director of Marketing, APAC. “CrowdStrike’s expansion into the APAC region comes at a time when the CrowdStrike Falcon platform is leading the charge in revolutionising endpoint security,” said Sentonas. “The opportunity to work with George and Dmitri and the team they have built at CrowdStrike is incredibly exciting. Their focus is to stop breaches and the team is on a mission to challenge the traditional thinking in security and innovate to solve customer problems,” he said. CrowdStrike provides next-generation endpoint protection, threat intelligence and response services. Its core product, the Falcon platform, helps stop cyber breaches by “preventing and responding to all types of attacks”, the company said. It’s heavily needed. And hopefully with the new cyber security training at macquarie uni it will increase experts and therefore jobs in such areas. However such things especially exploit testing won’t be able function without fibre internet ! Sadly these “adversories” doesn’t cover either the NSA and even the government packet sniffing the pipes and unleashing malware onto the population. Yes most bots come from these regions but I don’t think it’s that simple. NSA is not packet sniffing and trying to break VPN to just preserve themselves. It’s economic espionage. It fails to explain on it’s site what the api actually does. As in diagrams. It’s just a whole load of jargon. Is it a system for defence of their online systems and internal networks ? Assuming their internal networks a fully locked down as in one machine in a office can’t simply get access to console on one of their servers ? Of course then they would be trying to go for the admins. What is needed is metasploit type services for online systems to small business level not just enterprise. Small business are still in the dark and left exposed. Something like this should be made available for free by the government.